Midsumma Festival has since reiterated its support for the right of anyone to undertake a peaceful protest. Assistant Commissioner Neil Paterson. Image: Dean Arcuri. A man protesting at Melbourne’s Pride March over the weekend was detained by police, after they felt it had escalated to a point where the safety of other attendees was at risk. Longtime LGBTI advocate, Tony Pitman, alleged that he was booing the Liberal Party contingent and shouting “you’re not welcome” when he was arrested by police and driven away in a van. “After booing and shouting a few times, one of the security personnel pulled me aside and told me he was going to smash my head in,” he said. “They were his exact words. Then several police officers grabbed me and dragged me away from the march. “They held me beside St Kilda station for a few minutes until several other officers came and dragged me to a van. 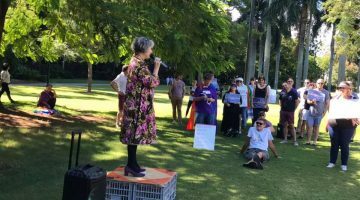 Midsumma Festival has since expressed shock over the alleged incident, reiterating its support for the right of anyone to undertake a peaceful protest. 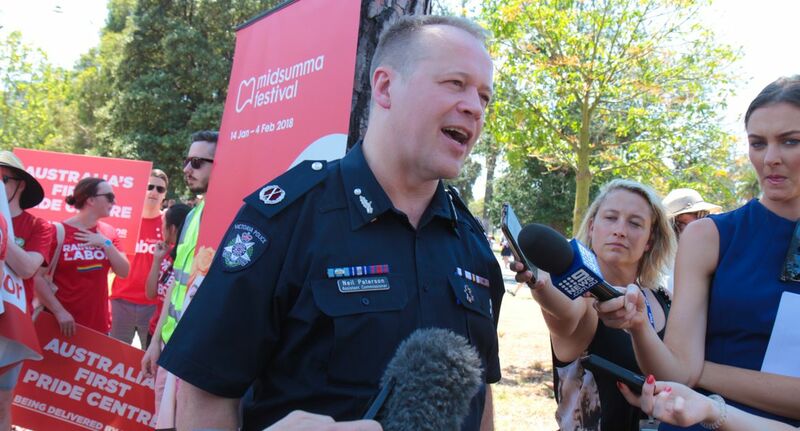 In a statement, the festival said it had already commenced an investigation regarding the incident through both the security team (contracted by Midsumma) and the police. “Police and security have reported back to us that their representatives on site were concerned that the behaviour of one patron protesting at the march had escalated beyond peaceful and was impacting on both marchers and pedestrians,” a spokesperson said. “Security management were particularly surprised about the report of the verbal conduct of security staff which would be out of ‘character’ from their training and briefing, specifically about potential incidences such as this. 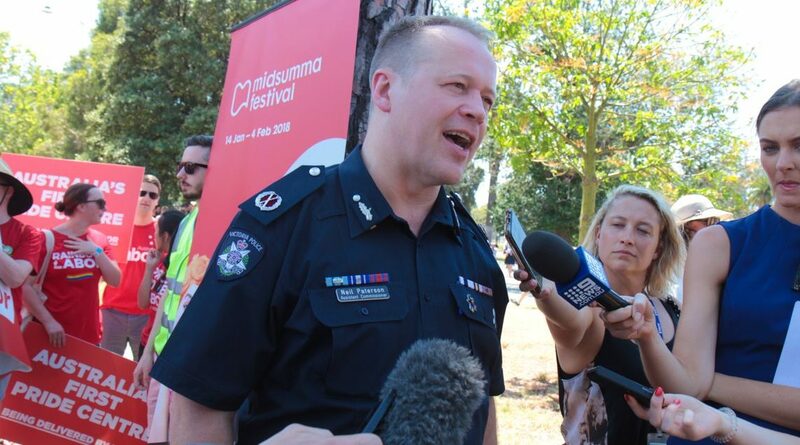 In a statement by the Victoria Police, a spokesperson said the police observed a man displaying threatening behaviour towards participants and spectators at the Midsumma Pride March at 2.55pm yesterday. “Police ordered the 49-year-old man to move on, warning him that his behaviour was in breach of the peace,” the statement read. “When he failed to do so, he was arrested and subsequently transported away from the march area and released outside the nearest police station. Midsumma also reached out to the police for their knowledge of the incident. “The police have told us that they detained a protester to remove him from the situation as in their view it had escalated to a point where people’s safety was at risk, but there was no charge,” a Midsumma spokesperson wrote in their statement. “We will continue a further review of the incident.